Cincinnati is the home of the Bengals, Cincinnati Young People's Theatre, and Clear Stage. Enjoy the city known historically for being the "Paris" of America for its architecture such as the Cincinnatian Hotel, and the Shillito Department Store. We've helped many people with therapy, health and wellness in Cincinnati and elsewhere in the Buckeye State. 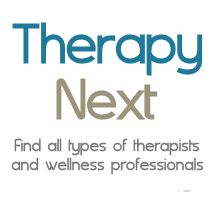 Therapists in Fort Thomas, Newport, Norwood, Ludlow, Park Hills, Evanston, Millvale, Clifton, St. Bernard.